Would you recommend Notey to a friend? @cathnotey I like the way you've categorized the seemingly infinite number of blog posts out there. I see this as a more useful tool for finding new sites I didn't know existed (not necessarily specific articles). However, I find it difficult to scan and parse the list of articles. There's a lot going on here and arguably the most important thing, the title of the post, often clashes with the background image. I agree. There's way too much going on here. A couple of suggestions: - Wayyyy too much text. Eliminate the tags all together. - The upvote/downvote mechanics are very difficult to see. They need way more contrast - The white on a picture background is increasingly difficult to scan. I'm not entirely sure how helpful the picture is to be honest. - Perhaps use the webpage's favicon so it's easier to identify the site That's it. Hopefully that's useful! This is very cool. 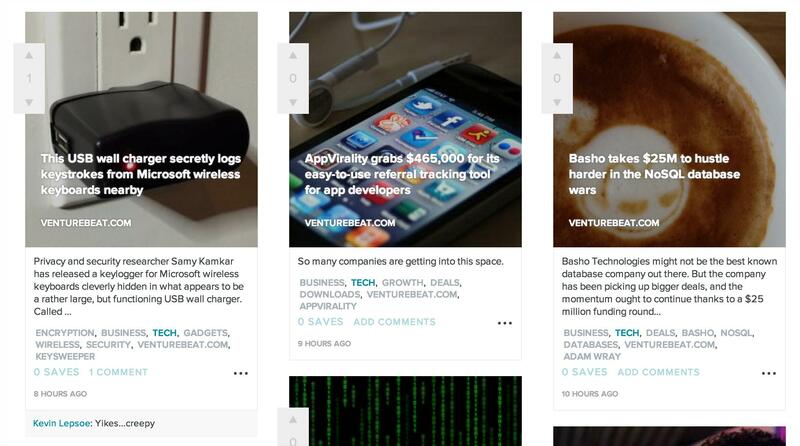 "Notey features the best blogs on over 500,000 topics. We've discovered and surfaced the misfits, the passionistas, the swashbucklers, the independent thinkers - the people who write about, and photograph, the Things They Love. We took a few hundred-thousand-handfuls of commonly searched for topics, and turned what's normally a tiresome process, into a simple, beautiful, and enriching experience. Whether you're searching for your next wanderlust travel adventure, tracking down a refreshing workout routine, or looking for essay-writing inspiration, Notey will guide the way. We've created the absolute best tool for browsing - just pop a keyword into our search bar, and you'll be greeted with an endless supply of posts from the best content creators out there! It couldn't be easier." Maybe @cathnotey can answer some Q's! @lozzagould Thanks Loren.. we have some product updates shortly that would make it even more useful for PR!